This programme is for scientists who want to develop collaborative research consortia between scientists in sub-Saharan Africa and a research institution in the UK. The overall aim of the scheme is to strengthen the research capacity of universities and research institution in sub-Saharan Africa by supporting the development of sustainable research networks. facilitate sustainable multidisciplinary partnerships between research groups in sub-Saharan Africa and the UK. strengthen research and training capacity in sub-Saharan African Institutions of Higher Education through the skill transfer between partner organisations of the research consortia. produce a cadre of young, talented researchers through integrated PhD scholarships and shared supervision of post-graduate students between the UK-based and African consortia members. 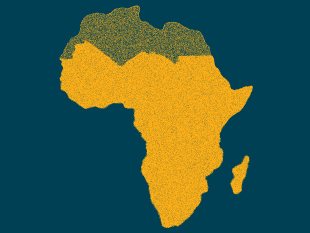 evaluate the contributions of the Africa Initiative to supporting universities and institutions in Africa to develop sustainable research and research training capacity. The scheme is funded by the UK's Department for International Development. Not specified. However, the Royal Society currently funds about 1500 researchers throughout all its grant schemes. The scheme provides funding towards research expenses, travel and subsistence costs, (PhD) training, and limited funds for equipment. The programme consists of two awards and will be delivered in two stages, as follows. Scientific Network Awards are small start-up grants, of up to £25,000 to assist the formation of research consortia and the preparation of applications for the subsequent Programme Grants. The Society will organise a workshop for successful applicants to facilitate development of applications for the second phase of the programme. The Scientific Network awards programme will open for applications on 5 November 2012. Programme Grants will provide support for Research Consortia, consisting of three African groups and one UK-based laboratory. Applicants do not need to have held a Scientific Networking award to apply for a Programme Grant. The Programme Grant may provide support of up to £1,243,000 over a five year period. Applications to the Scientific Network Awards will be initially reviewed by two members of the Royal Society-DFID Africa Capacity Building Initiative panel and then shortlisted. The shortlisted applications are reviewed by the Panel Chair and the final decision is made. Applications to the Programme grants will be initially reviewed by three members of the Royal Society-DFID Africa Capacity Stengthening Initiative panel. Applications that are shortlisted will be independently peer reviewed and discussed at a panel meeting. This scheme is currently open to applications. If you have a question about this scheme, please first read the scheme notes which contain more information. If the answer is still not available, you can contact the grants team here.